Fill your venue with fans! Edgy and cool, the Hip Hop Concert Postcard Mailer makes your show’s gritty, funky vibe and event details clear through a splatter paint background, graffiti-inspired typeface, and blingy graphics. 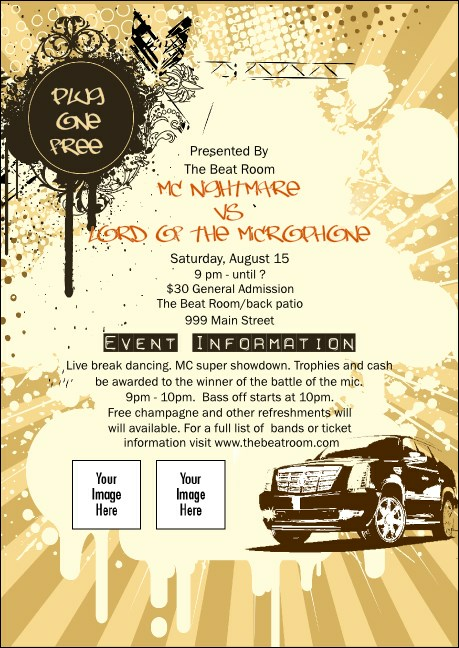 Drop the mic on excellent promotion by adding flyers and posters from its matching event kit. Dimensions are 4.25" x 6"
Raise the roof (and event attendance) with TicketPrinting.com postcard mailers!